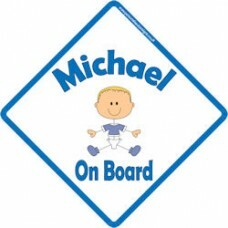 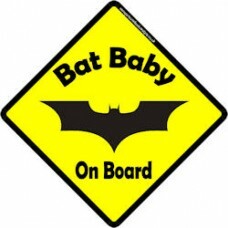 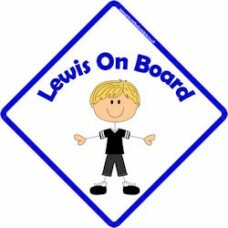 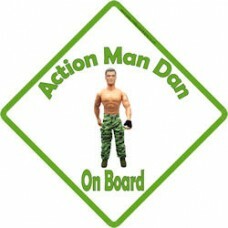 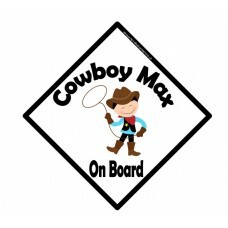 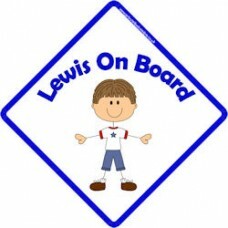 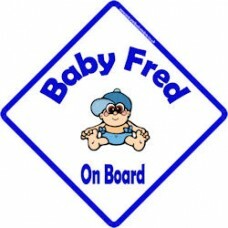 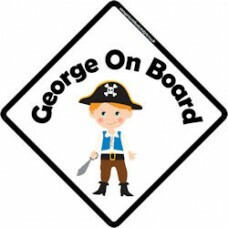 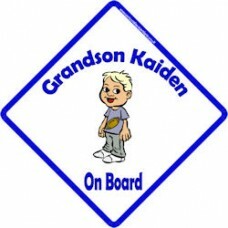 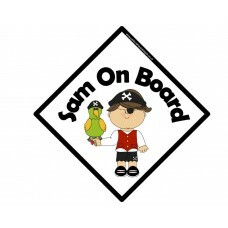 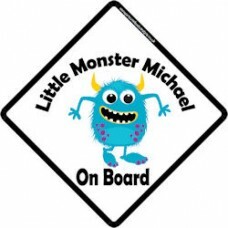 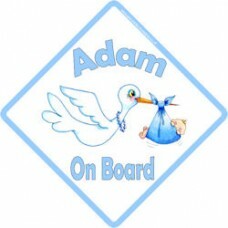 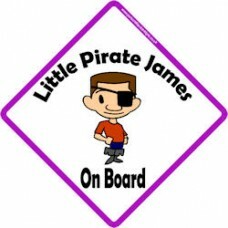 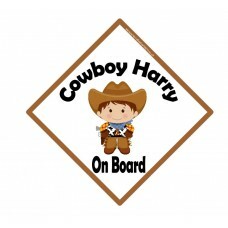 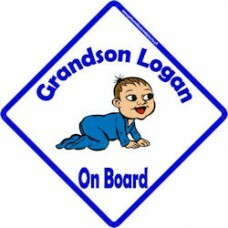 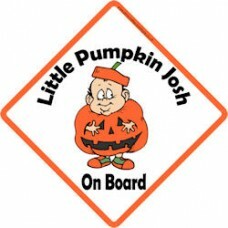 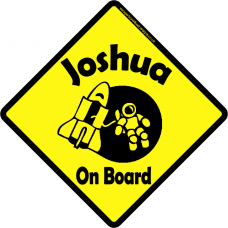 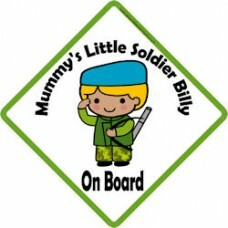 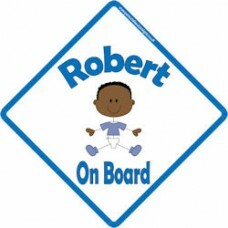 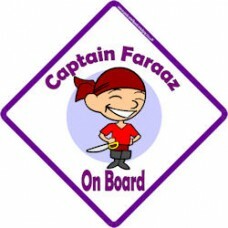 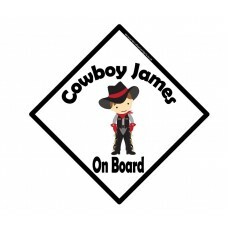 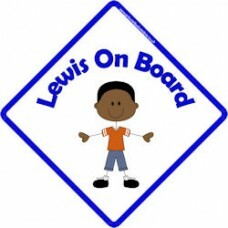 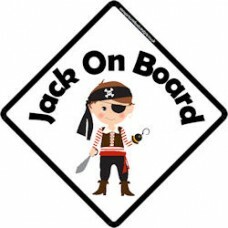 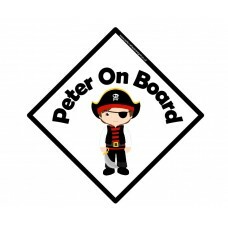 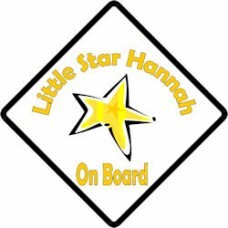 Personalised Baby on Board signs for Boys. 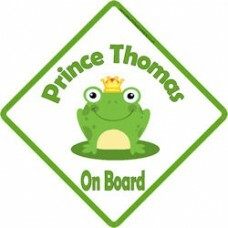 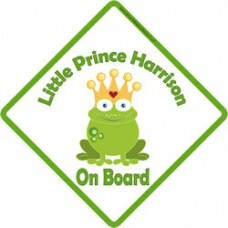 A wonderful little frog prince on board car sign, add a bit of humour to your little prince, he just..
A happy smiley frog prince sat on a lilly pad just waiting for his princess to give him his kiss..
A boy with dark drown hair, white shirt with a star on it, blue jeans and brown shoes in a sti..
A real cool dude on board, with sun glasses, swept back hair and leather jacket. 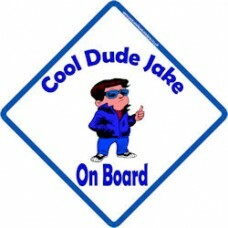 Cool man!.. 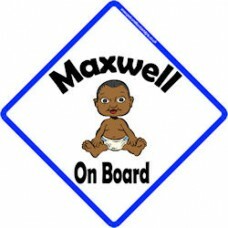 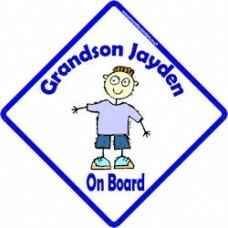 A funky stick man style grandson on board car sign, with blue t-shirt, blue shorts and blue trainers..
A young baby boy grandson on board car sign, wearing a blue babysuit crawling across the floor.. 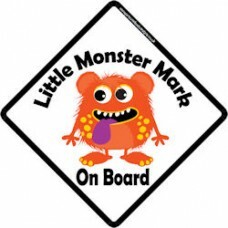 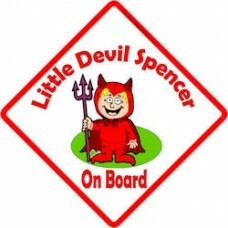 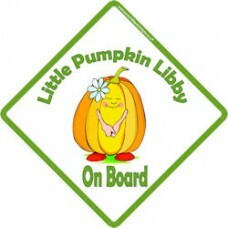 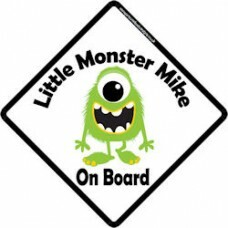 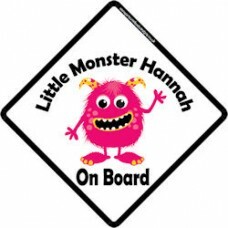 It is not all sweet and innocent, this little devil on board car sign is probably more appropriate!.. 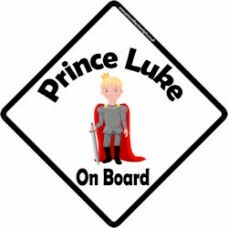 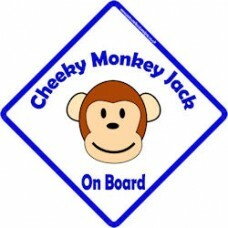 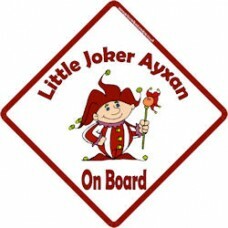 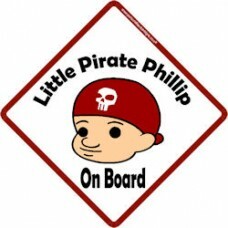 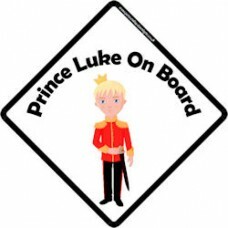 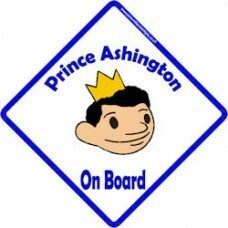 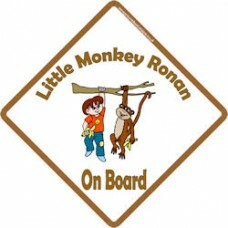 A little monkey on board car sign, swinging from the trees, just hanging around with his monkey frie..
A little boy dressed up in a halloween pumpkin outfit, with a little pumpkin hat to match..
A regal prince, with long gown, suit of armour and royal sword. 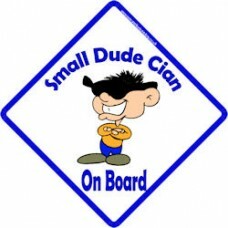 A beautiful sign for your little pri..
A small dude on board car sign, complete with cool dude sun glasses and a laid back look..
Space man, I always wanted you to go into space man! 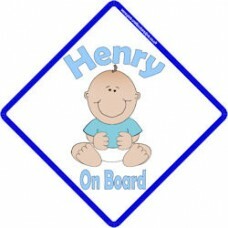 This sign looks great in a traditional yellow..